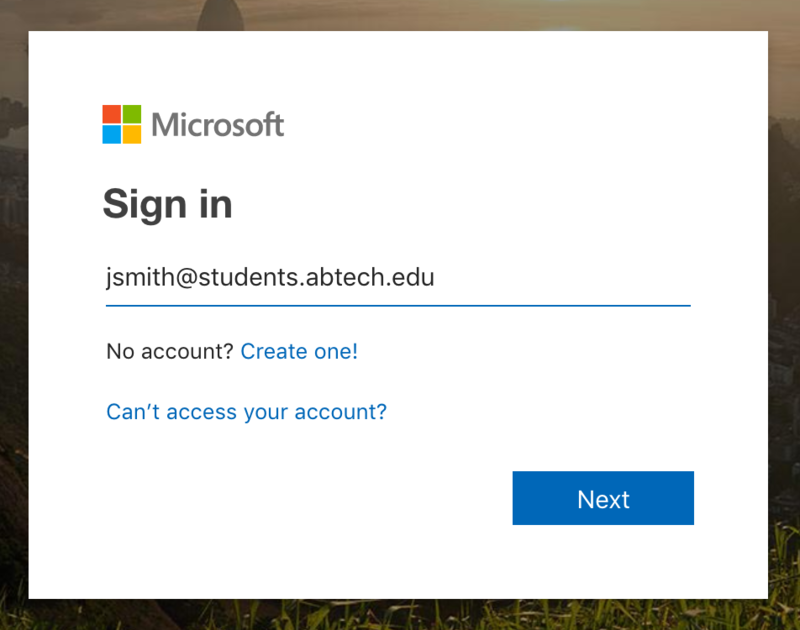 Instructions for enrolling and changing your A-B Tech password through Microsoft Azure AD/Office 365. 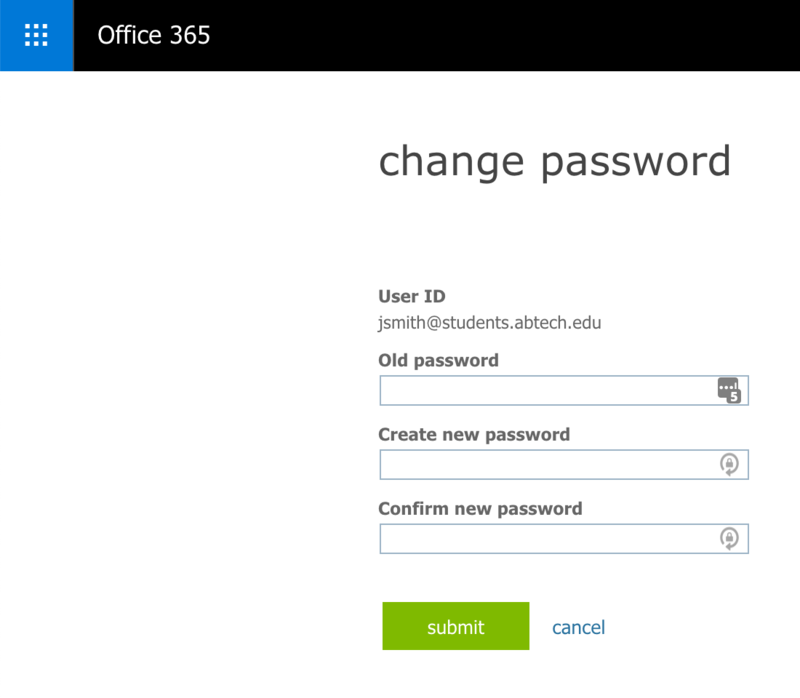 Enrolling in the password change utility allows you to change a forgotten password without needing to contact the HelpDesk. While you can change your password if you know it without enrolling, it is highly recommended to enroll first! Visit the Password Reset page at abtech.edu/password. Click on "Enroll." This will take you to a Microsoft web page. 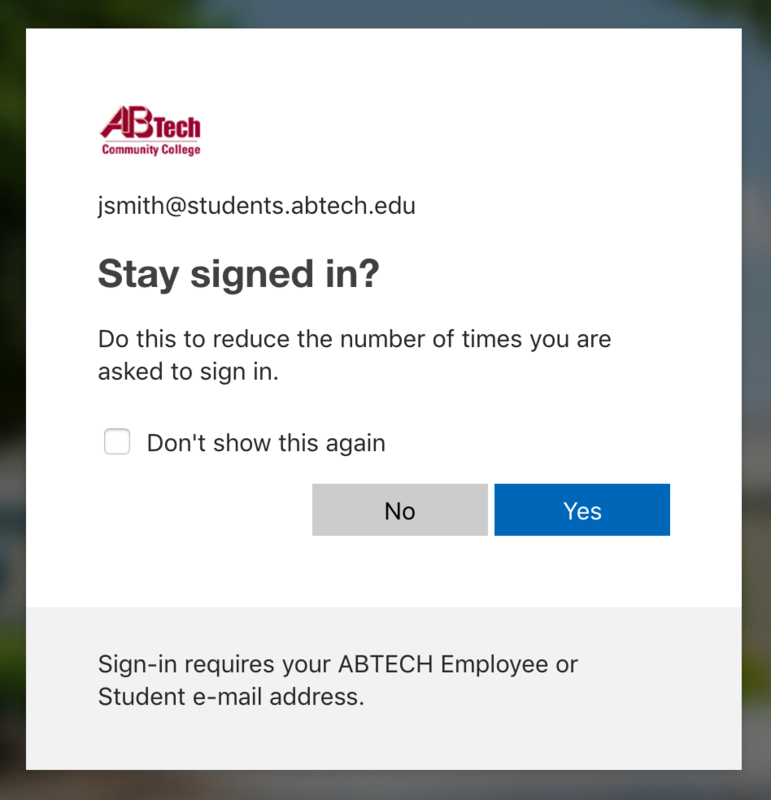 Type in your email address (username@abtech.edu if you are an employee, username@students.abtech.edu if you are a student). Click "Next", then enter your A-B Tech password. Click "Sign in." You will be asked if you would like to stay signed in. Click "No" unless you are on a trusted computer (your personal or work computer, tablet, or phone). You should now be on a page with the A-B Tech logo, the words "Keep your account secure", and a link to "Add security info". Click on that link. 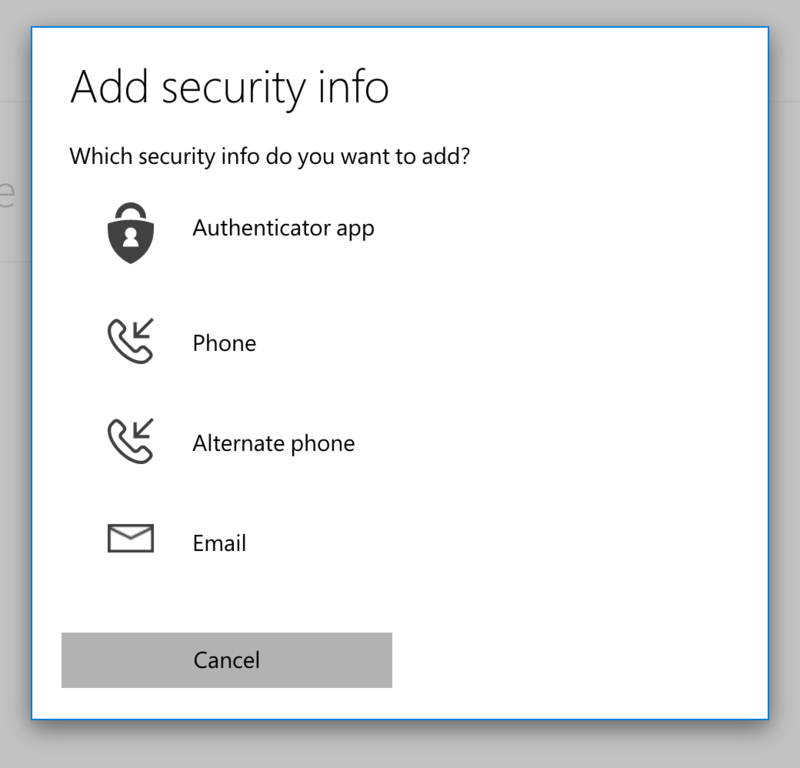 Authenticator app: This allows you to use the Microsoft Authenticator app to prove your identity to Office 365. Phone/Alternate phone: Either of these can be a home phone, and office phone, or a text-capable mobile phone. Email: This allows you to use an alternate email address. The best way to change your password is through Office 365. Click on "Change Your Password." This will take you to a Microsoft web page. If you just enrolled, you will already be logged in so, skip to Step #6. If not, type in your email address (username@abtech.edu if you are an employee, username@students.abtech.edu if you are a student). Click "Sign in". You will be asked if you would like to stay signed in. Click "No" unless you are on a trusted computer (your personal or work computer, tablet, or phone). You should be taken to an Office 365 page with a form that will let you change your password. There are two technical requirements for your new password on this page. It must be eight or more characters long. It cannot be a password that Microsoft considers risky to use (it is either too common or it was found in a data breach). If you choose too short of a password or one that Microsoft considers unsafe, you will be asked to "Choose a password that's harder for people to guess." 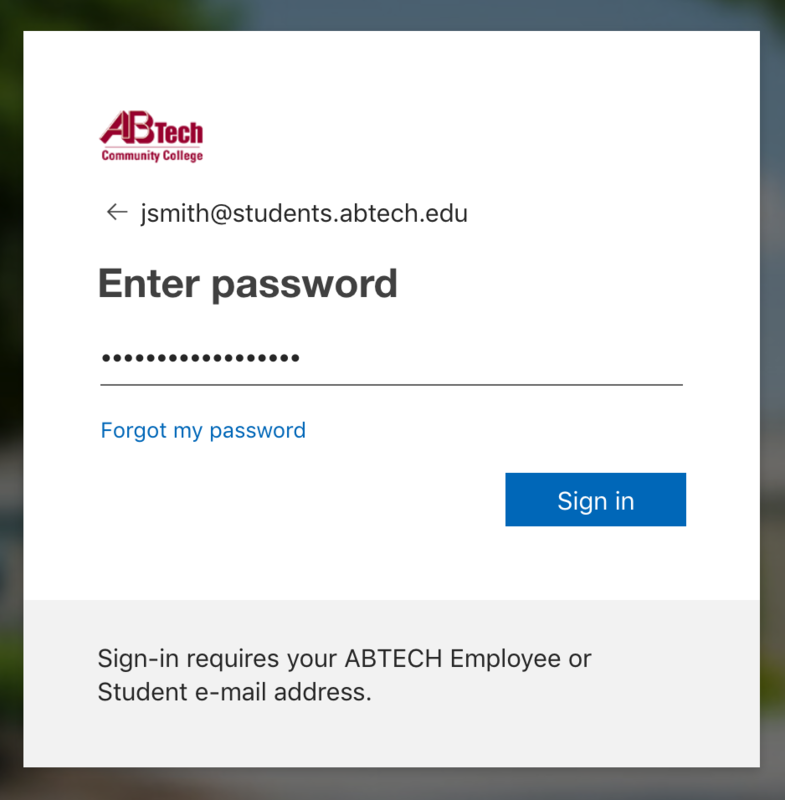 For more information about passwords, please see the Password Reset page at abtech.edu/password. You can contact the A-B Tech Helpdesk at (828) 398-7550 or helpdesk@abtech.edu. Posted - Mon, Feb 5, 2018 at 11:20 AM.